This article on 20 steps to better pens is a primer on simple techniques that can help improve your pen turning results. There is not sufficient space here to cover these points exhaustively, but there is enough explanation to help you understand why these items are important and the part they can play in improving results. While the 7mm (9/32in) kit is used as an example, many of these concepts will also apply to the various other kit styles and freestyle pens. These 20 items are certainly not all-inclusive but do cover the most important, most easily implemented to help with your journey in pen turning. The best way to end up with a quality result is to start with quality materials. If your pen is intended for practice, or perhaps you intend to sell it at a local craft fair, then you can use less expensive kits for economy. Drilling a hole may seem basic and can be thoughtlessly done. Drilling properly is crucial to achieving a quality hole. 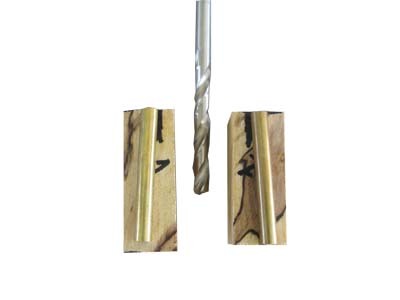 The selection of drill type is far less important than drill sharpness and drilling technique. A hand held drill will work, but a drill press - or your lathe - will provide more control and usually a better result. With a sharp drill, the speed and feed will dictate the final hole quality. Remember that all materials drill differently. 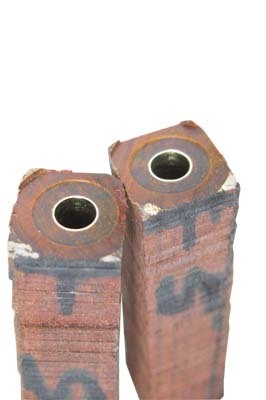 Proper drilling technique requires not only using correct rpm and drilling force, but also allowing debris to exit the hole throughout the drilling process. 'Breaking the chip,' that is, a gentle relaxation in the drilling force, will help make the ejection of the drilling debris more efficient. On occasion, retracting the drill bit from the hole will be required to clean debris from the flutes. Drilling too fast or not allowing the debris to exit will burn the inside of the hole. 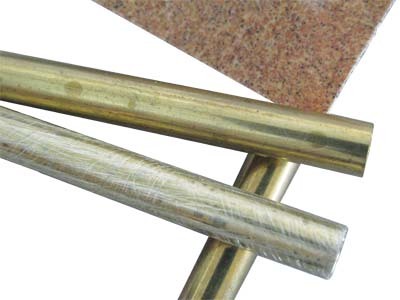 A poor quality hole, whether dimensional or surface finish, does not allow the best adhesive bond between the brass tube and the inside of the hole in the blank material. 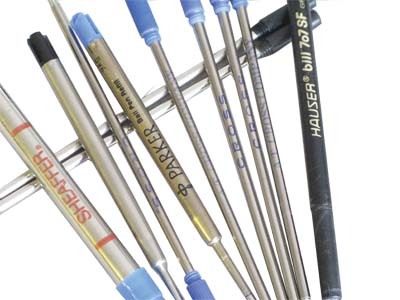 Tip 6 - scuff the tubes for better adhesionBrass tubing is drawn through a die in the manufacturing process. A lubricant is used to facilitate the process and maximise the life of the drawing die. You can't feel the residue on the tube from the drawing lubrication, but it is there. The bond that the adhesive makes will be to the lubrication residue, any surface oxidation, and then maybe poorly to the brass tube. 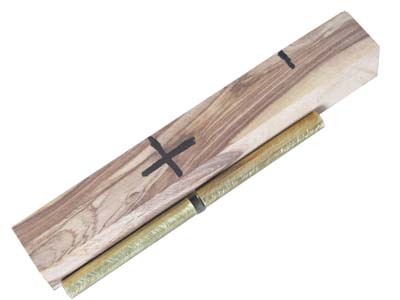 You can use many different adhesives to bond your brass tube to the inside of your blank. 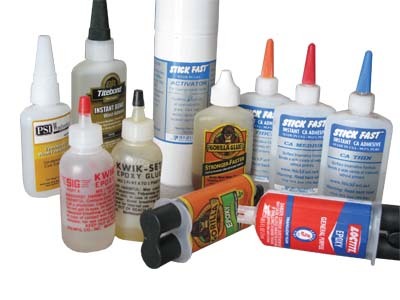 Cyanoacrylate, epoxy, and polyurethane adhesive are the most widely used types. 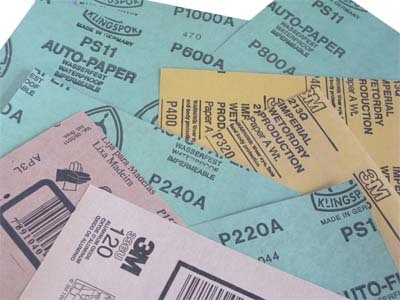 There are advocates of each type and even various brand names. I use polyurethane adhesive. 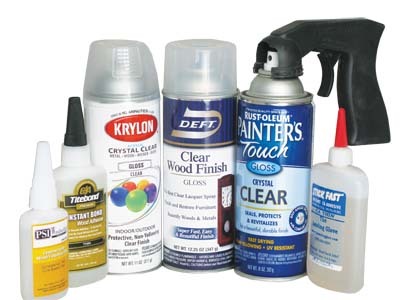 I believe it provides a secure but more compliant bond than the other types of adhesives. Over the life of your pen, it will see many different environments with changing temperature and humidity. The brass tube will be unchanged, but the wood cladding around the tube will change considerably by comparison as it absorbs and gives up moisture. 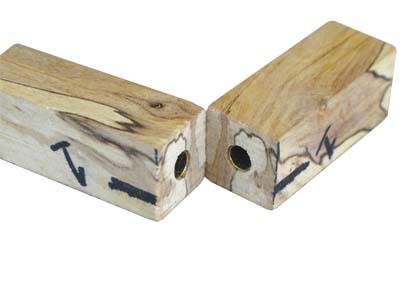 If the wood is expanding and contracting and the brass tube isn't moving, any rigidity in the adhesive only enhances the potential for splitting the wood. The compliance in your adhesive provides a bit of 'give' to reduce the likelihood of cracking. When you glue your tubes into the drilled blanks, you will have left a bit of material at both ends to allow for facing the blanks. 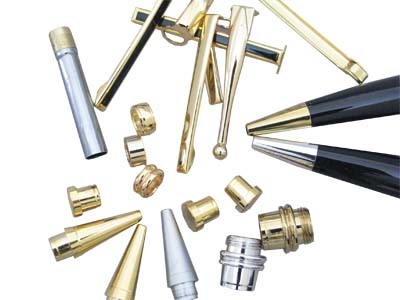 The tendency is to apply adhesive to the brass tubes and insert them into the blanks, simply making sure there is overhanging material at both ends. You can assist yourself greatly by inserting your tube from the interface end of each blank and only inserting the tube to just below the surface edge of the blank. Leaving sufficient material to allow for facing is important, but make it minimal. The amount of material removed during facing will have an impact on the final result. I recommend using a pen mill. If you aren't using a mandrel saver, use only enough tailstock pressure to hold the end of the mandrel in place for rotation. It is a very common error to use excessive tailstock pressure. 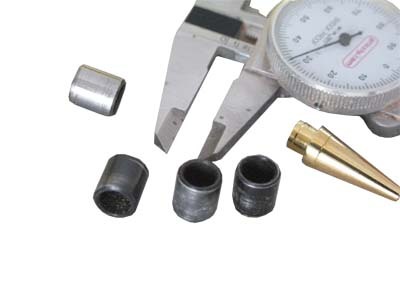 An incompatible tip angle on the live centre often causes problems with fit into the mandrel end, so the user increases the tailstock pressure to overcome this improper fit. Too much tailcentre pressure will cause the mandrel shaft to flex, and the turned parts will be eccentric. This flex will occur throughout the turning, sanding, and finishing stages. 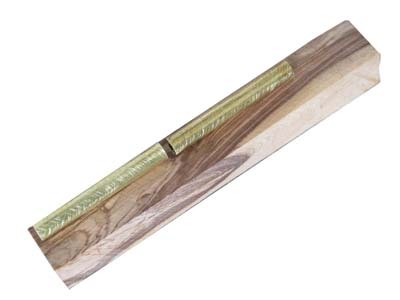 You can use almost any woodturning tool to turn a pen. 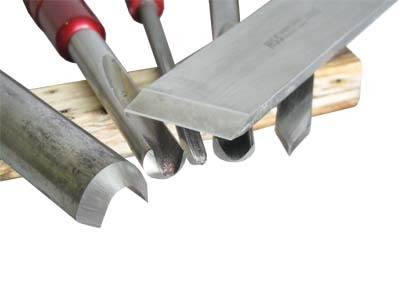 Regardless of your selection, your tool needs to be sharp. Dull tools will force you to push on the material rather than present the cutting edge lightly and have the tool do the work. The pushing force causes flex in the mandrel, in turn causing eccentric parts. The life of a pen is a difficult one. The leisurely life for a pen is sitting on a desk. Most pens don't enjoy such a sheltered life. They are in pockets with keys and change, bottoms of purses, dashboards and glove boxes of cars, or worse. Scratches and mechanical stress, extremes in temperature, and wild swings in humidity, are going to be the norm for a working pen. In my opinion, wax and shellac based finishes are not very durable for such a tough life. If a finish goes on too easily, chances are that it will come off or be ruptured just as easily. You will need to give your pen the most durable finish you can for it to look good, yet survive in the difficult world it will live in. As beautiful as any pen may be, it is the feel in the hand that makes it a winner, or not. If your fits, both visual and tactile, aren't perfect, the pen will feel or look awkward forever. There are many ways to achieve perfection in fits. Most happen by attention to detail during the processing. Perpendicularity in the facing process and minimal removal of brass tube are the most error prone steps. There is an easy way to achieve the perfect fit. Design and process your pen so that the nib and clip ends of the blanks are very slightly undersized when you have completed all of the steps through, and including, the final finish. When you are at the assembly phase, measure your nib - or end clip or centre band - then trim your blank by hand with the sharpest barrel trimmer you own. With this trimming in mind, a taper in the body will allow you to cut back 'up the hill,' increasing the diameter until you reach perfection. You can't take off much or you won't have the ability to assemble properly. If, for example, your nib diameter is .332in and your finished barrel at that interface point is .330in with a gentle taper from that end, a couple of light twists of the barrel trimmer will let you tune your dimensions to the perfect fit. Using a pair of dial callipers will let you do this by trial and error. There is no magic required to make beautiful and perfect pens. It is simply paying attention to detail. The extension of the inkfill is no different. You will have a desired look in mind and achieving it is little more than care in assembly. I am not a fan of assembly presses. Most are not sturdily built or very precise. A bench vise, drill press, lathe, or hand clamp will perform admirably for assembly. 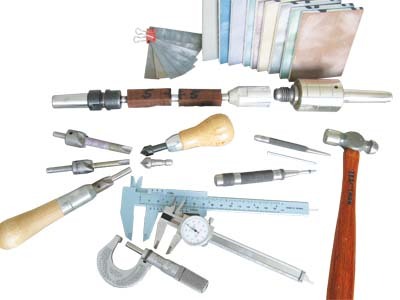 Padding or a wood block to prevent marring should be used as needed, but any of these tools will easily press your parts together either to a shoulder or to a depth. I use a hand clamp with the pads removed so the component parts rest on the plastic jaw material. press the transmission into the brass tube short of where it needs to be. After ensuring that the plastic threaded end cap is seated completely on the end of the inkfill, thread the inkfill into the transmission completely, twist it to the most forward position, and check the inkfill projection at the nib. For the modest pen to be sold at the craft fair, or displayed at your local woodturning club, a plastic pouch, plastic box, or velvet bag probably will do as a delivery mechanism. 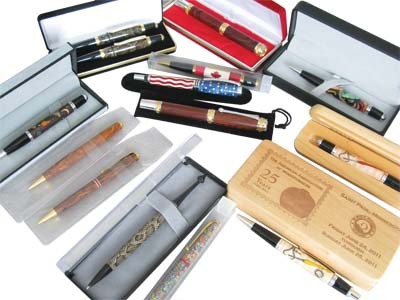 In the case of a gift or higher end pen, care should be taken in the presentation. There are two points here. A leather - or simulated leather - case, quality wooden box, or special stand is in order. The case may only be used for presentation and then stored or discarded by the owner, but the impression has been made. In my opinion, quality work demands quality presentation. Most woodturners are infatuated with gadgets and tools. Making pens requires only one woodturning tool. Pick one. 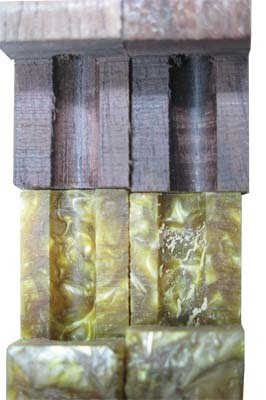 A spindle roughing gouge, spindle gouge, bowl gouge, parting tool, or skew chisel will do the job nicely. 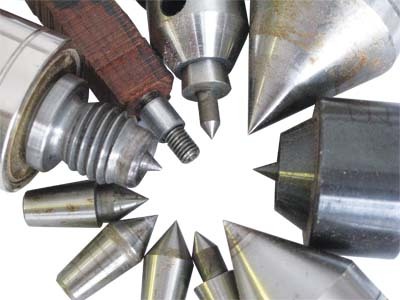 The myriad tools available and the gadgets peddled for pen turning, assembly, and finishing is astonishing. Needed or not, these find a ready market. I have a few items that I believe add great value to my pen turning. I recommend that they all belong in the pen turner's kit. A product that I find extremely valuable to sand dense hardwoods that will have no finish, those with a cyanoacrylate adhesive or lacquer finish, or a plastic, is Micro-Mesh. This abrasive - and yes it is an abrasive, as mild as it may be - is crucial in achieving a mirror-like finish. Use it at low speed to allow it to cut, then run it through all of the grits to work the magic. Don't forget to wipe the blank clean between grits. You can use the padded or unpadded version of Micro-Mesh, but you need to have it in your kit to do the best finishing you can. Used and cleaned properly, it will last a lifetime, so it is a worthwhile investment. It uses a different scale than the standard FEPA or CAMI scale you are probably familiar with. 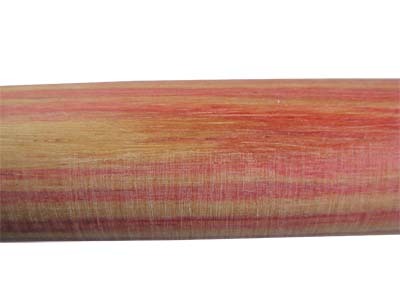 The Micro-Mesh product that is of value to the pen turner starts at 1,500 and progresses to 12,000 in nine steps. Another item I highly recommend is a mandrel saver. If you use the longer two-piece mandrel, flexing or bending is a real potential. The mandrel saver will allow you to eliminate the threaded brass compression knob and use the tailstock pressure to squeeze the bushings and pen parts for turning. Because the mandrel saver 'swallows' the end of the mandrel shaft, the force it applies is directed on the bushings and the glued-up blanks, not the end of the mandrel. It allows for much more clamping force without the corresponding potential for mandrel bending. This can be purchased or simply made if you are handy in the workshop. I recommend it highly. If you don't own a centre punch and a small hammer, I would suggest you get one. In a pinch, you can make do with a nail and stick of wood. Putting a physical centre mark on your blanks to start the drilling will let you control the exact point at which the drill will start. A nice tool to make centre marks is the spring-loaded centre punch. Regardless of your equipment, the physical centre mark will help your drilling process be more precise, allowing you to use thinner stock if you wish. 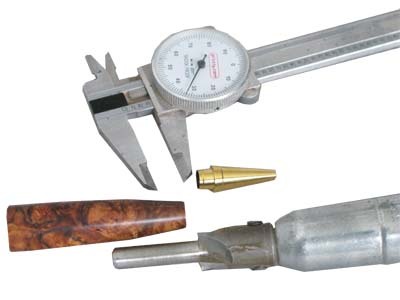 Pen turning is among the simplest of the woodturning projects. The turning skills and tools needed are basic. It is easy to pick up, but that being said, you can spend many years trying to master it. 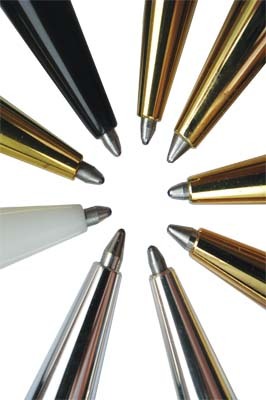 Rather, it is the attention to detail that separates the ordinary pens from the superbly executed pens. No amount of expensive tools, equipment, or techniques will give you a shortcut to a quality result unless you pay attention to the details. The suggestions made do not involve expensive purchases or add burdensome time to your process. The modest expenditures in tools recommended - callipers, centre punch, chamfer tool, pen mill, and Micro-Mesh - will be more than made up in your final results. Woodturning Design, American Woodturner, Pen World, and Stylus magazines.